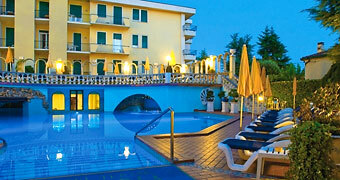 Rovigo's economic growth can be attributed to its position. The Adigetto River, with water rich in fish, a fertile soil, ideal for agriculture and an important road linking Padua to Ferrara have made Rovigo into a flourishing city throughout the centuries. Lovers of art, architecture and, in particular, those interested in religious buildings, will find the City of Rovigo of immense appeal. The tourist can visit a great number of ecclesiastic buildings: the Abbey of the Vangadizza, the Temple of St Maria del Soccorso, also known as the Rotonda, the Cathedral of St Stefano, the Church of Christ, the Church of St Bartolomeo, the Church of St Francesco, the Church of St. Maria dei Sabbioni, the Convent of St Bortolo. 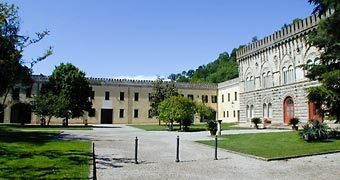 Other monuments include: the Castle, the Cloisters of St Bartolomeo, the Medieval Fortifications, Palazzo Roncale, Palazzo Angeli, Palazzi Vanezze, Villa Angeli-De Polzer. 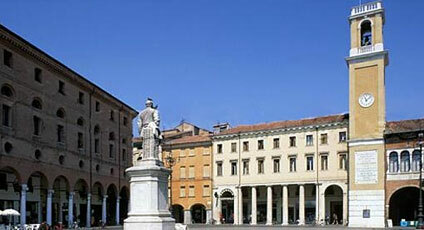 The Corsa ai Tori and the Rodigina Fair are the most important events, whilst one of the unique sites of Rovigo can be found in the Foro Gnomonico.